We have years of experience making bespoke database solutions. We offer a range of development and support services to fit all requirements and budgets. We also offer a wide range of database services including data audits, writing functional specifications, creation of single customer views, database design and development. Data or Database Audit – Evaluating the contents and completeness of data fields and providing recommendations. Functional Specification – Gathering database management and database usage requirements and providing a detailed requirements document along with recommendations. Single View – Data Integration with the additional component of deriving a single view of the most up to date and most relevant information where multiple sources of the same information exist. Database Review – Evaluating your database design for structure and sufficiency for your Data is one of a company's most valuable assets – providing it can be accessed easily and is current, correct, complete and compliant. Database Design – Designing a flexible database structure with your current and future data as well as information needs in mind. Database Development – Normally includes Database Design, but includes the development of the database structure, table relationships and data validation procedures. Database systems include Oracle, MSSQL and MYSQL Server. Database Interface Development – Development of a user interface against existing or bespoke databases. 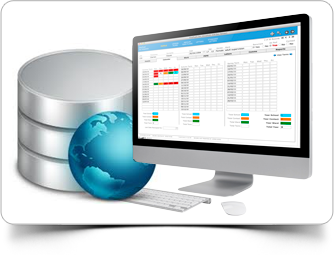 Bespoke databases include Database Design and Development above. The databases can be MS SQL Server, Oracle, MySQL or Teradata. Database Migration – Moving data and databases from one database system to another, e.g. MS Excel to MS Access, MS Access to MS SQL Server, Oracle to MySQL, MS SQL to MySQL etc.